As a self-published writer, you may be the CEO of your own little publishing empire—but the success of your book will still depend on your ability to work well with others. As you persevere on your path to publishing greatness, there are several important relationships you’ll need to nurture and develop. Cover art designer – In spite of that old adage about not judging a book by its cover, many people are first attracted to books based on cover art design. Be sure that your designer has lots of experience—ask to see samples. And be sure to choose cover art images that resonate. For examples of professionally designed book covers, take a look at the predesigned book covers created by the experts here at Self-Publishing Relief. Proofreader – Typos and grammatical errors annoy readers and make your self-published book seem shoddy and amateurish. Be sure to find a proofreader with experience proofing self-published books. At Self-Publishing Relief, our proofreaders must pass rigorous testing before they can proof any manuscripts. Event coordinators of your local writers groups – The event coordinators of your local writers groups are important people to have on your side. Some writers groups have hundreds of members in a local chapter, so being booked to give a seminar or attend a conference can be a very lucrative deal for a self-published writer. Book bloggers – Book bloggers read and blog because they love to—they rarely get paid for reviews. Make friends with book bloggers and send them your book. A good review can help boost your sales! Local librarians – Like writing group event coordinators, the coordinator of your local library system’s event calendar is a self-published writer’s best friend. Schmooze liberally! If you are booked for a talk at a local library, be sure to thank your librarians (with a gift, if you like! ), and don’t be shy: Ask for a referral to other local libraries. Friends and family – Don’t underestimate the importance of your friends and family. Research has found that a person’s circle of acquaintances and relatives is about one hundred and fifty people. If your one hundred and fifty friends and family members tell one hundred and fifty people about your book (and so on, and so on…), you’ll have a powerful promotional engine working for you! Literary agent – Last but not least, if a literary agent is attracted to your self-published book—or to the sales of your book—you might just gain an ally who can launch your book to the top of the bestseller lists. 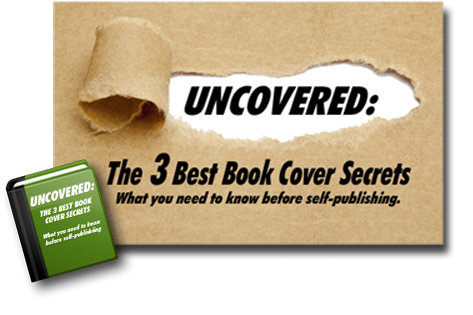 And The #1 Person Who Will Make Or Break The Success Of Your Self-Published Book Is…? You are responsible for the quality and content of your writing, the choice of artwork, the proofreading, formatting, and marketing. It’s your energy that will drive book sales—or see them slump. By self-publishing, you have both the burden and joy of being responsible for every aspect of your business. So—treat yourself well. Be sure to give yourself lots of TLC and plenty of writer pep talks so that you don’t suffer from writer burnout. After all, your energy levels and enthusiasm will drive your success! And if the thought of having to shoulder all the responsibilities and decisions on your own seems daunting, remember: Self-Publishing Relief is here to help you navigate the process from manuscript to finished book to marketing support. We’ll take care of expertly formatting your book, converting files for e-books and print, and setting up preliminary distribution. Self-Publishing Relief has publishing packages to suit every budget, and we can also create an engaging book trailer, provide targeted social media promo support, and even announce your book launch to our audience of over 200,000+ followers. You don’t have to go it alone. QUESTION: What other people are integral for self-publishing success? apply to having your book self-published by companies where you (the author) are not working side-by-side with your proofer/editor but through E-Mail or regular post. You need a critique partner or two who will tell you when your characters seem unmotivated and your plot is not thickening. It would be really good if you had someone who could tell you when your back cover blurb or your other promotional materials you have written are boring or ineffectual. And how to fix them. There is a real art to writing these kinds of materials. This article is informative and upbeat.